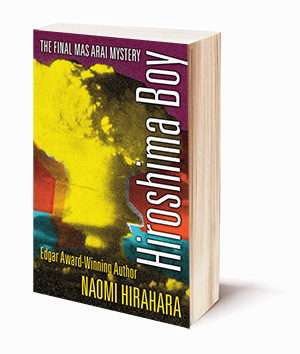 Amateur sleuth Mas Arai is back in Hiroshima Boy―nominated for the Edgar Award! L.A. gardener Mas Arai returns to Hiroshima to bring his best friend’s ashes to a relative on the tiny offshore island of Ino, only to become embroiled in the mysterious death of a teenage boy who was about the same age Mas was when he survived the atomic bomb in 1945. The boy’s death affects the elderly, often-curmudgeonly, always-reluctant sleuth, who cannot return home to Los Angeles until he finds a way to see justice served. © Naomi Hirahara. Web site by interbridge.